The Ruth and Hal Launders Charitable Trust has truly helped meet the needs of radio listeners in Central Virginia through its support of the Community Idea Stations. The Ruth and Hal Launders Charitable Trust has provided funds for operating support of the stations and has helped to encourage the partnership of other listeners in the community by supporting on-air challenges broadcast during membership drives. Public Radio Stations differ all over the country, but they have one thing in common: they require public support to thrive. Being community-supported, they reflect the diverse, particular nature of their localities. Community Idea Stations in Richmond, Virginia, offers both news/talk programming (88.9 WCVE) and music programming (93.1 and 107.3 WCVE) as it serves Central Virginia. Public radio stations exist to serve the members they support, not to meet the demands of advertisers. National Public Radio (NPR) Member Stations, share a mission to inform the public, increase understanding of the world and enrich the experience of everyday life. Each Member Station determines its own format and schedule. Stations create their schedules based on the interests and needs of their local audience. Some stations focus on news and information while others follow a music format – with programming ranging from classical, to jazz, or world music. In Richmond, for example, WCVE members’ dues and community support like that of the Ruth and Hal Launders Charitable Trust, paid at the local level, support local news created by its own news team, and also support national and international NPR news and analysis. This non-commercial partnership encourages creation of content that responds to listeners’ needs and interests, rather than content driven by advertising. This format allows examination of critical issues in depth and encourages honest discourse from all points of view. Many public radio stations across the country are NPR members. NPR Member Stations are independent, locally owned and operated broadcasters. About two-thirds of these stations are licensed to, or are affiliated with, colleges or universities. The remaining third are governed by community-based boards. The Community Idea Stations offers news/talk programming on its 88.9 channel as an NPR Member Station and through subscription to other content providers. NPR, headquartered in Washington, D.C., offers content to which these local Member Stations subscribe. National dues for joining are paid by the local station and generated through member and community support. coverage of milestone news events such natural disasters, the impact of war on local communities, and national elections. These reports bring local flavor, relevance and perspective to NPR programs, with local reporters and hosts who are deeply familiar with the issues, events and people they cover. In a time of media fragmentation and sound bites, NPR and Member Stations have succeeded in focusing on in-depth, high-quality news. NPR has evolved from a secondary to an essential news source, with dozens of bureaus around the world and the nation. Drawing on more than 340 news staff (reporters, correspondents, newscasters, editors, producers hosts and bloggers) in the United States and abroad — from Washington, D.C., and New York City, to Beijing and Dakar, NPR has the capacity to stay on top of breaking news, follow the most critical stories of the day and track complex issues over the long term. Since 1971, NPR and its journalists and programs have won hundreds of awards including some of the most prestigious honors in journalism. Public Radio stations often offer broadcast content that would not be commercially viable, but that still holds great importance for our culture and society at large. They are uniquely able to do this because of member and community support. In Richmond, Virginia, for example, the Community Idea Stations’ WCVE Public Radio delivers Richmond’s only radio home for daily classical and jazz music on channels 107.3 and 93.1, perhaps offering a young child his or her first experience of these musical forms. The station offers a unique platform for the local symphony and classical groups or local jazz musicians to share their work with the community at large. In addition to offering locally produced music programs, the stations also offer outstanding subscribed national programs like Sunday Baroque, Performance Today, With Heart and Voice and much more. For the audience, the station offers a front-row seat to expand their awareness and enjoyment of these music forms. Ruth and Hal Launders Charitable Trust gifts have helped local arts organizations like the Richmond Symphony, the Virginia Opera, and others extend their reach beyond live audiences. Its support has helped expand audiences for major local music festivals like the Richmond Folk Festival and The Richmond Jazz Festival, through the Community Idea Stations’ live broadcasts. Delivery of this deeply sourced and high-quality news content, as well of delivery of outstanding locally produced and nationally subscribed music programs, is made possible by individuals and community organization partners all over the country. For Central Virginia, the Ruth and Hal Launders Charitable Trust, has been a significant partner in making sure that public radio is alive and well, delivering the best in news and music for area listeners. Contributed By Guest Author: Trish Poupore, augmented with content from NPR.org. 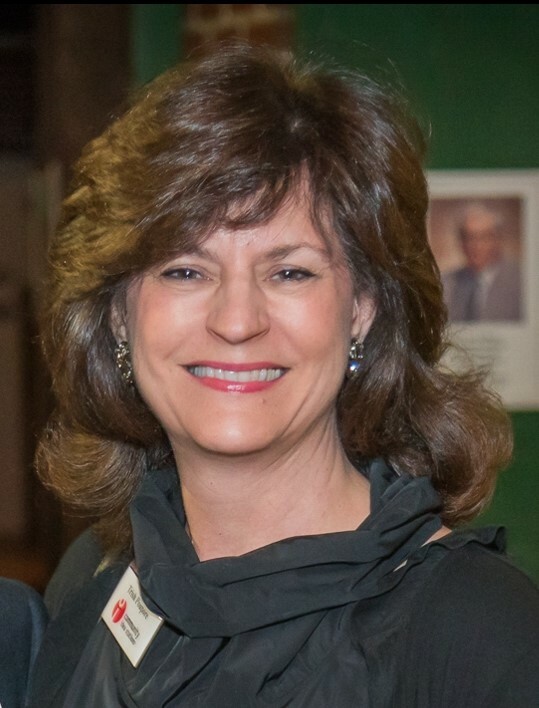 Trish Poupore has been director of major gifts at the Community Idea Stations for seven years.